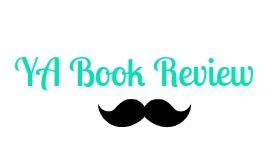 Goodreads Synopsis: Can you hear Atlantia breathing? 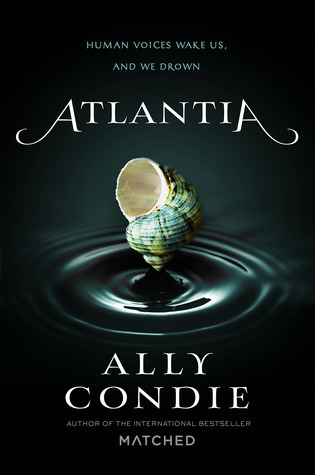 Atlantia by Alie Condie is the novel I wished she had written before Matched because it was amazing! It was the type of novel Matched wasn't and it exceed my expectations! Atlantia was explosive, racing, and definitely excited. So happy I picked it up and I hope you do too! Atlantia is about a girl named Rio who always dreams of going to the Above as long as she can remember. Her sister Bay, made the life shattering choice to go Above and now all Rio has left is herself. Ever since their parent's deaths, Bay and Rio have been inseparable, now Rio has to use her instincts to fight her way through a misguided and dangerous world. I really liked reading Rio's story! She was such a easy character to relate too and connect, she brought the story alive. Plus she had such a ease to her that made the book so easy and light to read. While we have no actual scenes with Bay, Condie made her sound interesting and she does give reason to why she goes Above as you move on and on. The book had great actions scenes also! But Atlantia mainly focused on the deception aspect - whether Rio should trust her aunt, believe her mom and the goodness of her society and trusting a new boy, the book tackled these issues in a good way. As the story went on, Condie did have some type of romance going on. Like with dysoptians, there's bound to be some love triangle right? Well, I'm happy to say there wasn't! Ah. I'm so conflicted over this book. Some reveiws are just people saying to stay away from this book because it is so bad, and then some reviews are singing it's praises!!! I might get to this if i see it at the library. Tekken Mobile, the world's most successful fighting game franchise has been brought to mobile!